Really! Any compensation given to REALTORS® is recognized by the builder as a marketing fee and has no impact on the final cost of the home. Builders desire, expect and encourage REALTOR® participation. Are you getting what you're entitled to have...both in quality and value? An experienced REALTOR® knows what you should receive and what "extras" might be available. Give your investment the best opportunity for appreciation at resale. Questions concerning site location, builder, design and decor are important and can affect the resale value of your home in the future. You are building not only for today... but for tomorrow. A REALTOR®'s experience, knowledge, and reputation represent strength and leverage on your behalf. A REALTOR® knows what a builder should, could and must do. 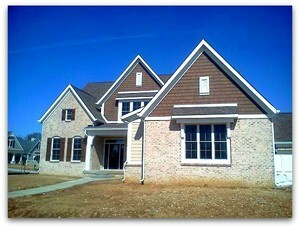 There is more to a builder than good advertising or the sales staff in the beautiful model home. What is the reputation of the builder? Does the builder allow customized changes and at what cost? Do the builder's incentives, discounts and special financing work the best for you? A knowledgeable REALTOR® has insight into these and many more concerns. Allowing your REALTOR® to monitor the building process can alleviate stress and save you time. Whether you will be building a custom home, or a production home, be sure to let your builder know from the start that you will be relying on the help and knowledge of a real estate professional. Is Owning a Pool Really Worth It? Why Pricing it Right Matters!